Lightning Bolt is capable of manufacturing a wide range of Haynes-HR-160 fasteners. Haynes HR-160 fasteners are commonly used in furnaces, burners, and other harsh environments where resistance to sulfidation and chloride attach is important. Haynes HR160 fasteners also offer outstanding resistance to nitridation, metal dusting, carburization, hot corrosion, and oxidation. A proprietary alloy of Haynes International, this is a Nickel-Cobalt-Chromium-Silicon alloy that is easily welded and fabricated. Why Lightning Bolt for Haynes-HR-160 Fasteners? 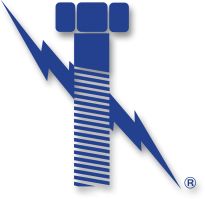 Contact Lightning Bolt at 225-272-6200 sales@lightningboltandsupply.com for more information about Haynes-HR-160 Fasteners.